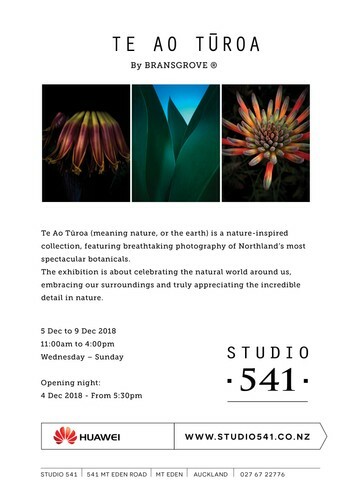 Te Ao Tūroa (meaning nature, or the earth) is a nature-inspired collection, featuring breathtaking photography of Northland’s most spectacular botanicals. The exhibition is about celebrating the natural world around us, embracing our surroundings and truly appreciating the incredible detail in nature. Opening night - all welcome: 04 December 2018 - From 5:30pm.